Stetson Building Products has been in the construction business for over 50 years. We are dedicated to serving the professionals of the construction industry by distributing a complete line of commercial building products. We have four divisions, we want to be involved with every stage of your project; Reinforcing Steel, Concrete Forming, General Construction Supplies, and Erosion & Storm Water. Fix those Pot Holes the Easy Way! No more bumps in the road! Aquaphalt is all you need! Fix those parking lots & roads the easy way! Water in that hole? Great! The more water the better. 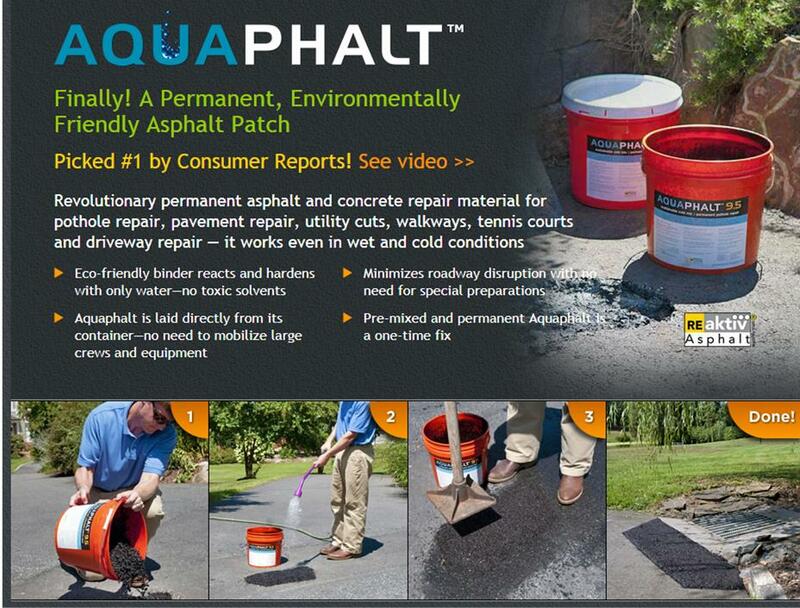 Click to see Aquaphalt in Action!